Born and raised in a remote mountainous area of Thanh Hoa province, Hoang Anh Son had a rough childhood. When he was little, all Son wished for was getting an education and a stable job for a better life. Son then studied mechanical engineering at college, and he could see a great potential for this sector at his hometown. Everything was difficult at first because Son did not have money for his startup. Through the local Youth Union, Son was granted a loan by VBSP. The aspiring mechanic spent this VND 250 million ($10,800) on facilities, equipment, rent, and human resources for his new firm. He soon turned his tiny household business into a company with VND4 billion ($173,000) of annual revenue and nine staff members. Son was happy that his firm did well on the market, improving the life of his own and many others in the neighbourhood. Meanwhile, Nguyen Manh Quan from Vinh Phuc province grew up in a family of woodworkers. The family had great woodworking talent, but lacked capital, preventing them from expanding their business. 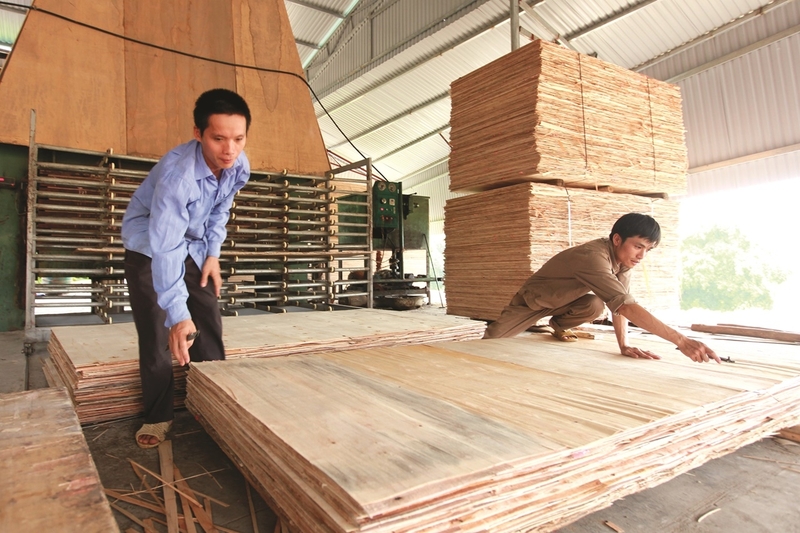 Everything changed when Quan received VND50 million ($2,170) from the local VBSP branch for new woodworking equipment. From a struggling household, Quan’s family now earns VND140 million ($6,000) a year and employs two full-time staff members. Quan could refurbish his family home and the family was lifted out of poverty.